Excellent ice cream in the summer and a delicious-looking Christmas window in the winter are the kind of thing that make this candy shop a special sweet treat. The shop itself has all the appeal of a by-gone era; even husband-and-wife owners, Miss Hope and Mr Greenwood, look like they got dressed in 1950s. 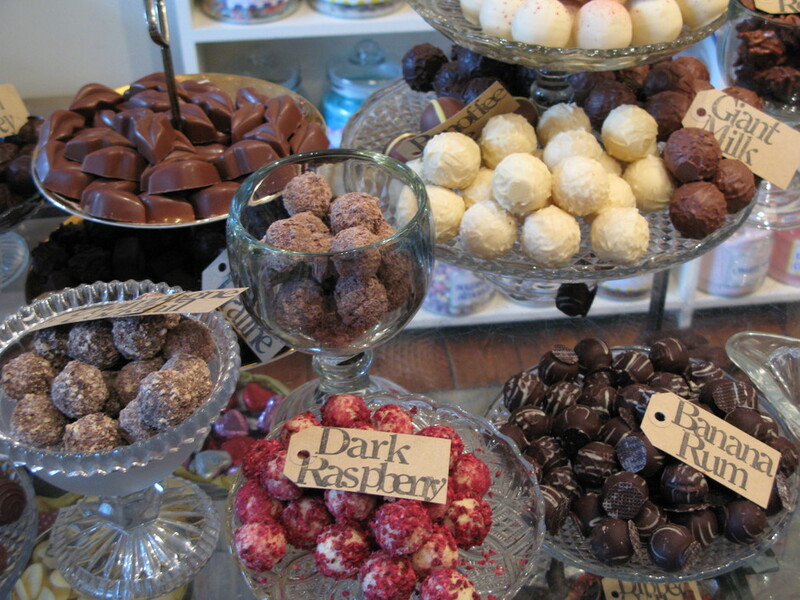 Through this East Dulwich shop they have brought their love of confectionary to grateful Londoners. The melt in your mouth sugary bites include Fairtrade chocolate, sweet tobacco and everything that can be sugar coated. It's enough to have the sweet toothed in raptures. Even the most discerning chocoholics will be able to find every sweet treat they desire - no matter how obscure. No doubt Willy Wonka is watching this place with interest. What are the best dining options near Hope and Greenwood London? Hope and Greenwood gyms, sporting activities, health & beauty and fitness. The best pubs near London Hope and Greenwood. Hope and Greenwood clubs, bars, cabaret nights, casinos and interesting nightlife. Where to have your meeting, conference, exhibition, private dining or training course near Hope and Greenwood. From cheap budget accommodation to luxury 5 star hotels see our discounts for Hope and Greenwood hotels, including Holiday Inn Express London Southwark from 62% off.